Styled with marque camisole . 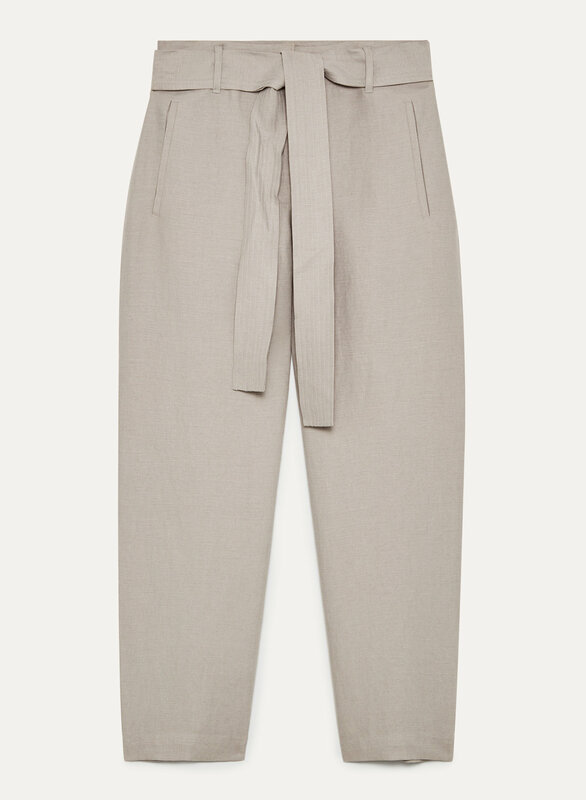 Simple, flattering and easy. 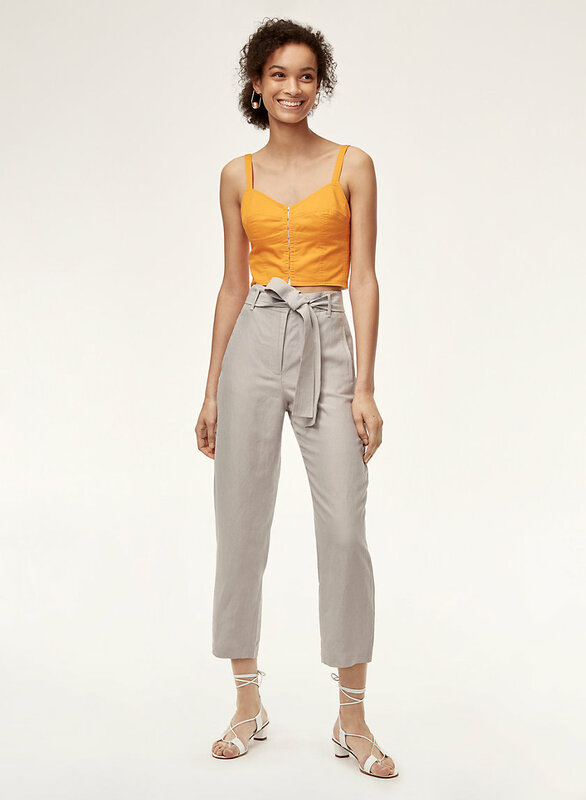 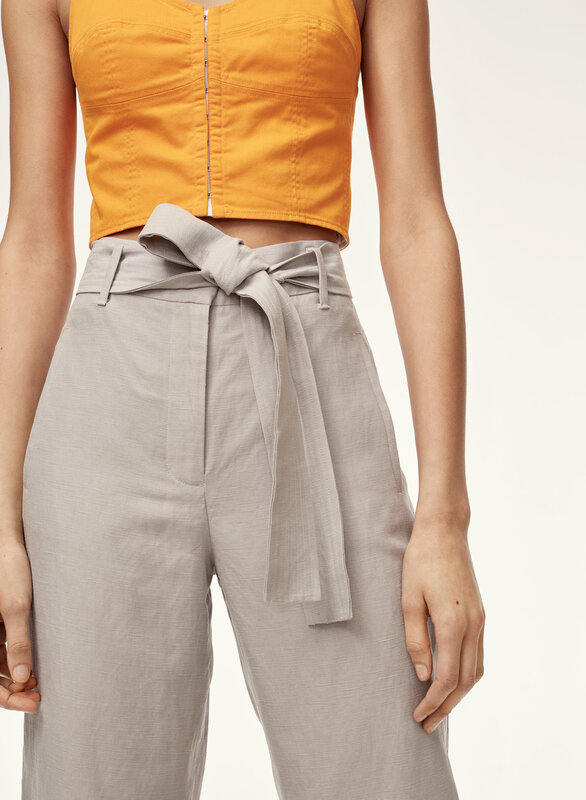 These high-waisted pants are cut from a lightweight fabric that contains linen so they hang just right and stay crisp all day.